eBay's Q4 2012 report, issued on Wednesday, saw sales up but profits down from the same period in 2011, and there's a simple explanation for that. Profit dropped off a seemingly massive 62 percent from 2011, down to $757 million (UK£472 million, AU$718 million), but last year's figures were reportedly inflated by eBay's sale of Skype to Microsoft. Sales revenue, on the other hand, rose 18 percent to $3.99 billion (UK£2.49 billion, AU$3.78 billion), with PayPal seeing the largest jump. And Google's report said that increased mobile payments, which "exceeded expectations," deserved the credit. 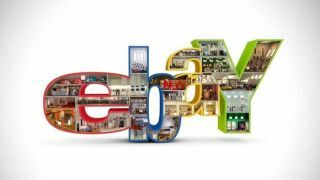 eBay chief executive John Donahoe told the BBC that "mobile continues to rewrite the commerce playbook." Indeed, eBay is a popular choice on the biggest mobile operating systems - on Android, eBay is the 27th most popular free app, while it sits at 60th in Apple's app store. eBay's Q4 report also claimed that growth of active users during 2012 was driven by mobile, as well as enhancements to the site and increased use in new, emerging markets. The online auction site also reported that PayPal saw the biggest growth of all. eBay acquired the online payment service in 2002. PayPal payments in the fourth quarter rose 24 percent from 2011, while eBay's marketplace division revenue increased by 16 percent. Between end-of-day Wednesday and Thursday morning, eBay shares rose 2.7 percent.